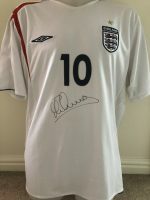 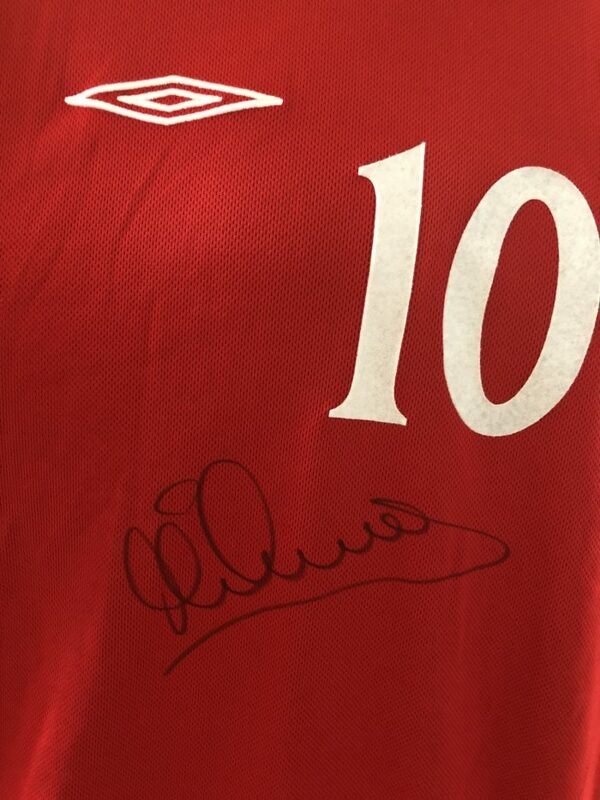 Excellent 2002-2004 England No.10 away shirt signed by Michael Owen. This has been signed on the front and on the back by Owen. 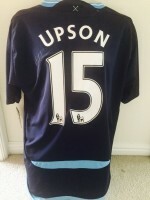 The shirt has the name and number printed on the back and the number on the front. 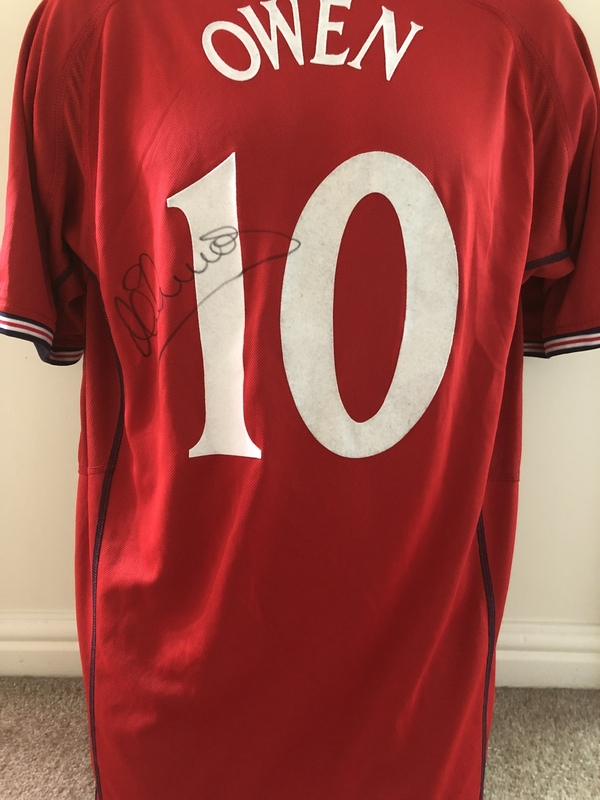 This shirt is not brand new but is in good condition, there maybe some small pieces of wear and tear or marks consistent with age and use. 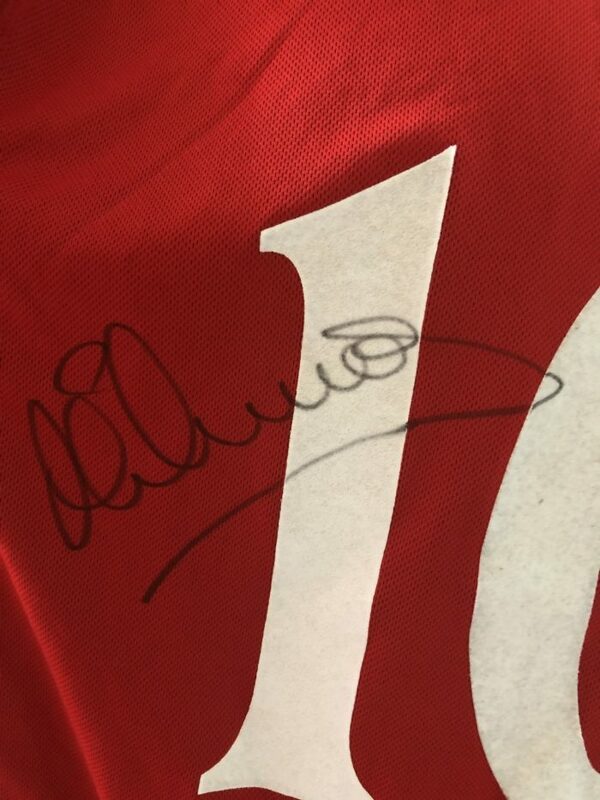 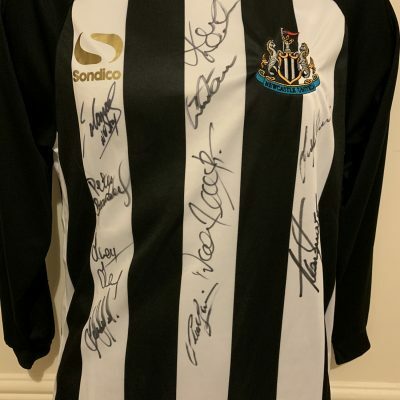 There is a small amount of ‘fuzzing’ on the numbering / lettering but nothing that spoils the overall appearance of the shirt or the autograph. 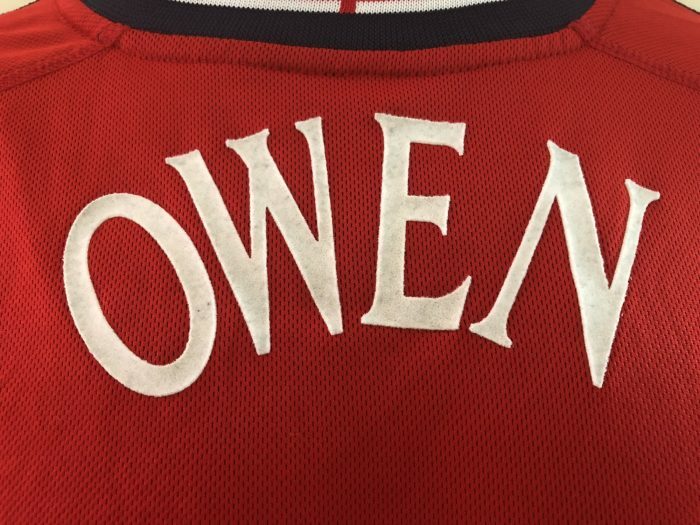 There is no visible size label but the shirt looks to be around an adult Large size. 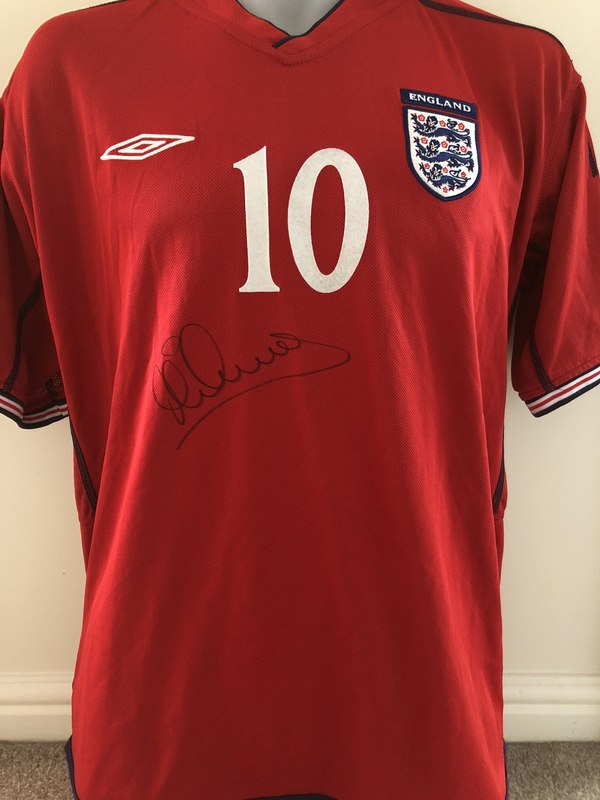 Please ask for further size and measurement info before purchasing.